With the holiday season around the corner, now's the perfect time to stock up on pretty new jewelry—whether you want gift ideas or just something to go with your new party frock. Enter: Rashida Jones's brand-new jewelry collection, created in partnership with Iconery. The 11-piece line boasts pretty gold earrings, bracelets, rings, and necklaces, all in 14k gold. In a new interview with Vogue, Jones revealed that the baubles are meant to never be taken off. "I have lost so much jewelry over the course of my life that I want things you don't have to take off every night," she told the magazine. "I like the idea of being the kind of person who sleeps in their jewelry." With plenty of options under $200, the pieces aren't too precious to wear every day—so what's the point in taking them off, anyway? 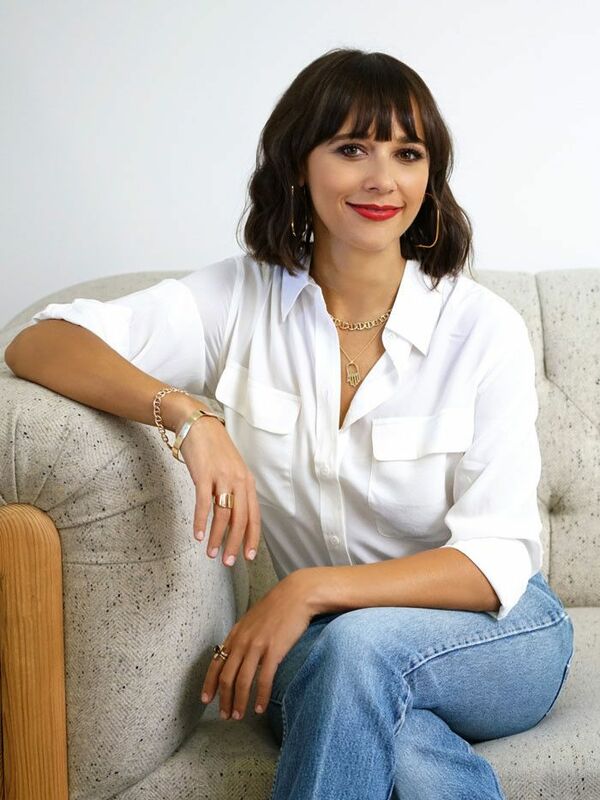 Scroll down to shop our favorite pieces from Rashida Jones's new jewelry collaboration with Iconery! We love the menswear feel of this chunky square ring. This delicate chain is perfect for everyday wear. These square hoops will go with every outfit under the sun. This sleek bangle would pair perfectly with one of the collection's gold rings. This adjustable piece can be worn as a choker or as a longer necklace. Which pieces are your favorite? Tell us in the comments below, and then shop the full Rashida Jones x Iconery collection online!